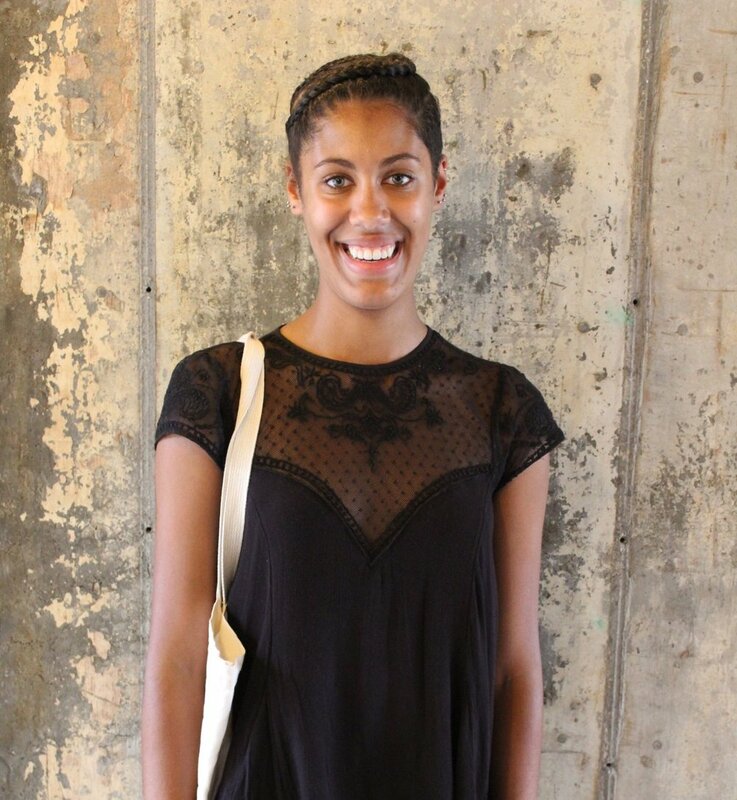 Avanthi Cole ‘18 is a soprano from right here in Princeton, NJ majoring in African American Studies. Outside of Glee Club, she plays piano (and has for 15 years! ), enjoys writing, and has previously served as president of the Black Student Union. After graduation, Avanthi will be heading off to Columbia Law School. “Ever since I was a kid, I wanted to do something to help people”. One of her favorite glee memories is singing Imfundo at Gold’s Restaurant in South Africa. “It was the last concert we did and it was amazing because we invited the audience to sing and they went crazy lifting chairs and dancing”. Avanthi’s favorite tour absolutely goes to the South Africa tour- “I’ve never seen anything like South Africa in my life”. Kristin Hauge ‘18 is an alto from Westfield, New Jersey. She is majoring in music with certificates in piano performance and the teacher preparation program. Outside of singing with Glee, she can be found with Princeton Pianists Ensemble or playing viola in Sinfonia (which she conducts on occasion as well). This summer, Kristin will be participating in Tiger Challenge, a social entrepreneurship and problem-solving program based in Princeton through the Keller Center. She will also be returning to campus in the fall to complete the teacher preparation program and hopes to gain some work experience through the program by teaching music at the high school level. As for her favorite piece the Glee Club has sung, it’s a tie between Precious Lord (arr. Sevier) and Handel’s Dixit Dominus. One of Kristin’s favorite memories with the Glee Club is playing the football medley alongside fellow Glee Clubber Gloria Yin '18 at this year’s Princeton-Harvard and Princeton-Yale concerts. 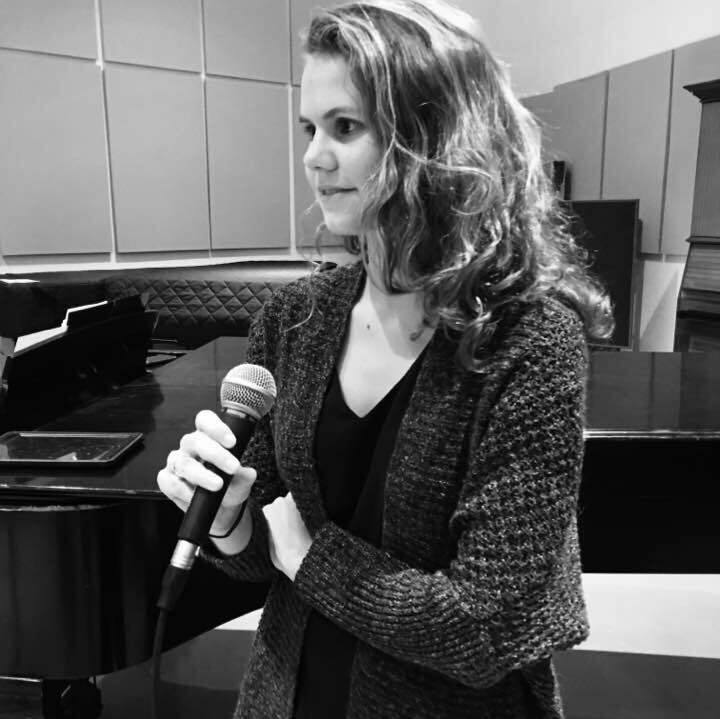 Charlotte Jeppsen ‘18 is a soprano from Washington, D.C. She is majoring in psychology with certificates in cognitive science and jazz vocal performance. 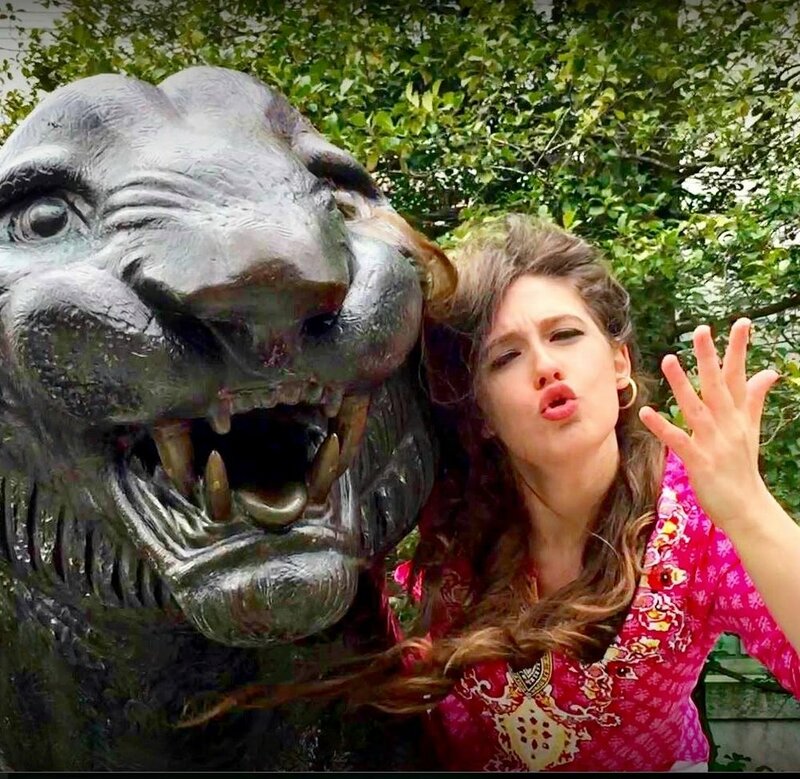 Apart from Glee Club, Charlotte also sings with Shere Khan and the Jazz Vocal Collective and is a research assistant for the Princeton Baby Lab as well as a tutor for the McGraw Center. The Glee Club might be surprised to know she also loves to waterski. Following graduation, Charlotte will be a Clinical Research Assistant at the Center for Autism Spectrum Disorders at Children’s National Medical Center in Washington, D.C. Her favorite Glee tour was the South Africa tour because of all of the special moments such as the game drives, being featured on the morning news, and performing in Soweto, which is one of her favorite memories. Her favorite Glee piece is the Verdi Requiem. Charlotte will certainly miss everything about Glee, including Gabriel, all the people, Wednesday tea breaks, trips to Terhune Orchard, and throwing paper airplanes at the football concerts! Claire Jones '18 is a soprano from Houston, Texas. She is a History major with certificates in Portuguese and European cultural studies. Outside of Glee Club, Claire also sings with the Chapel Choir and the Princeton University Wildcats and is the editor-in-chief of the Princeton Historical Review, a student-run publication showcasing undergraduate work in the History department. After spending the summer chilling, Claire will be in the U.K. studying Global and Imperial History at Oxford University. One of her favorite Glee memories is the 2015 Nollner Memorial Concert her freshman year, where the Glee Club performed three centuries of coronation music. Claire found a special connection to this concert through her own affinity for history and by seeing how the music was “so close to [Gabriel’s] heart”. She also distinctly remembers being yelled at for practicing said music at 3 A.M. in her dorm shower. Two of her favorite pieces are Howells’ Behold, O God Our Defender and Talbot’s Santiago. She particularly enjoyed our tour to Spain because it gave her a chance to spend time with people she doesn’t always spend time with on campus, though taking in Spain’s beauty was definitely a plus. Claire will miss “how good everyone is” and how unique and special the experience of being in Glee Club is. “You’d be hard-pressed to find a similar experience outside of Princeton”. Mark Martinez GS is a tenor graduating with a Master’s degree in computer science. Prior to joining us at Princeton, he completed his undergraduate degree at Harvard University in applied math and biology. As for his hometown, Mark moved around a lot as a child as part of an Air Force family, although he let us know that “the easy answer if I don’t want to talk to someone in Las Vegas”. The Glee Club might be surprised to know that when Mark lived in Korea, he trained at the same gym as Chuck Norris. While he wasn’t always a singer, Mark has played piano for a long time. There wasn’t too much music in his undergrad career- “classical improvisation was way too hard for me”- but he began singing two years ago, and he hasn’t looked back since. On campus, he has been involved in restarting the Princeton Opera Company with fellow Glee Clubber Matré Grant GS. After graduation, Mark will be moving to New York to work for Square. Mark’s favorite Glee memory is the first night in Bilbao during our tour to Spain. After some deep thought, he decided upon Santiago from Joby Talbot’s Path of Miracles as his favorite Glee piece- “it’s just so monumental”. Mark will miss the music of Glee Club, the people of Glee Club, and their musicianship. Aparna Raghu '18 is a Molecular Biology Major with certificates in Global Health Policy and Gender and Sexuality Studies. Aparna is from Short Hills NJ. Apart from Glee, Aparna is involved with the women's center, 2D Coop, rock climbing, and the writing center. 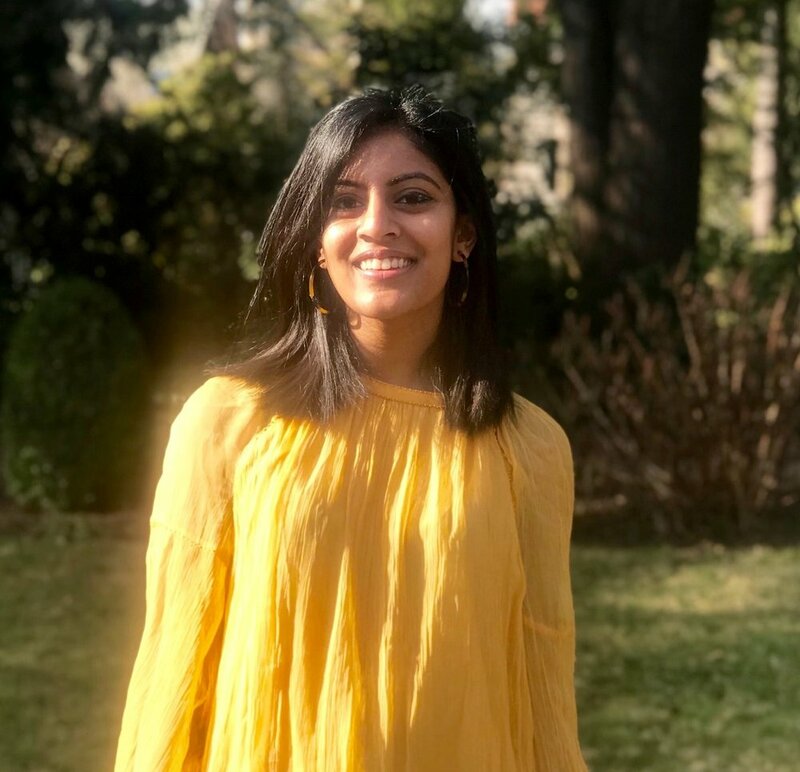 After graduation, Aparna is planning to pursue the High Meadows Fellowship through the Pace Center, working at a non-profit called The Food Project in Boston. She is interested in work related to community agriculture, sustainable food systems, and providing access to fresh food for low-income neighborhoods. Aparna's other musical experience includes piano and singing, as well as carnatic music. She clarified that any other instruments were put down for singing. When asked for a favorite Glee Club memory, Aparna remembered the experience of working with the South African choirs and learning from their musical style and musicianship. She also says that the structured time for music making that happens regardless of the various stressors of Princeton life is what she will miss most about Glee. Aparna's favorite Glee song is Vaughan Williams' Dona Nobis Pacem. Aparna has loved being in choir and hopes that she will be able to find a community choir in Boston next year. Glee will be surprised to learn that she trapped campus squirrels "for science". 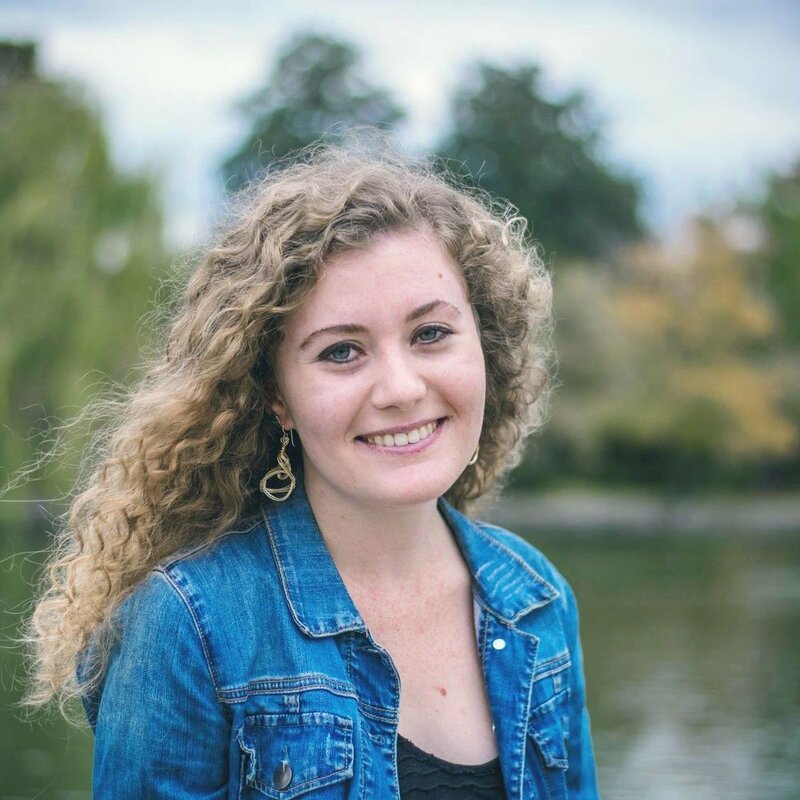 Becca Singer ‘18 is an alto from Toronto, Canada majoring in music. A member of the Edwards Collective, she can be found lending her voice to Glee Club, Chamber Choir, and Princeton Roaring 20. Becca is probably the most aptly named member of all of these groups. Is her last name a cool coincidence? Or has it always been an indicator of her destiny? You decide. Following graduation, Becca will be moving far away from the orange bubble and spending a year in China pursuing a masters at Tsinghua University as a Schwarzman Scholar. She will be studying global affairs and aims to deepen her understanding of Asia’s role in impact investing in order to better serve marginalized populations. But first, make sure you send Becca tons of gluv and support: she’ll be running a marathon this summer! Becca’s standout favorite piece goes to Jesu Meine Freude by Bach. Her favorite tour is our most recent tour to northern Spain. She will certainly miss having fun with her Glee friends and glarties (see: glee parties), especially the international ones from tour, but what she will miss the most is the Glee camaraderie and how much everyone cares about one another. When prompted for a random thought about Glee, Becca said “GABRIEL CROUCH FOR PRESIDENT”. Gabriel 2020? Kaamya Varagur ’18 is a soprano from Edison, New Jersey majoring in neuroscience with a certificate in vocal performance. Beyond singing with Glee and Chamber Choir, Kaamya has been music director for , a member of Princeton’s Women in Medicine, an ER volunteer, a hospice musician volunteer, and a tutor with the McGraw Center. After leaving the orange bubble, Kaamya will be hopping the pond to pursue an MPhil in Music Studies at Cambridge University as a Gates Scholar, although she will return afterwards to attend medical school at Washington University in St. Louis. Her favorite glee memory, which coincidentally happened on her favorite tour, was performing with a church choir in South Africa and seeing Nelson Mandela’s hometown. Though it was a hard choice to make, Kaamya’s favorite glee piece is Wynton Marsalis’s “Abyssinian 200: A Celebration”. 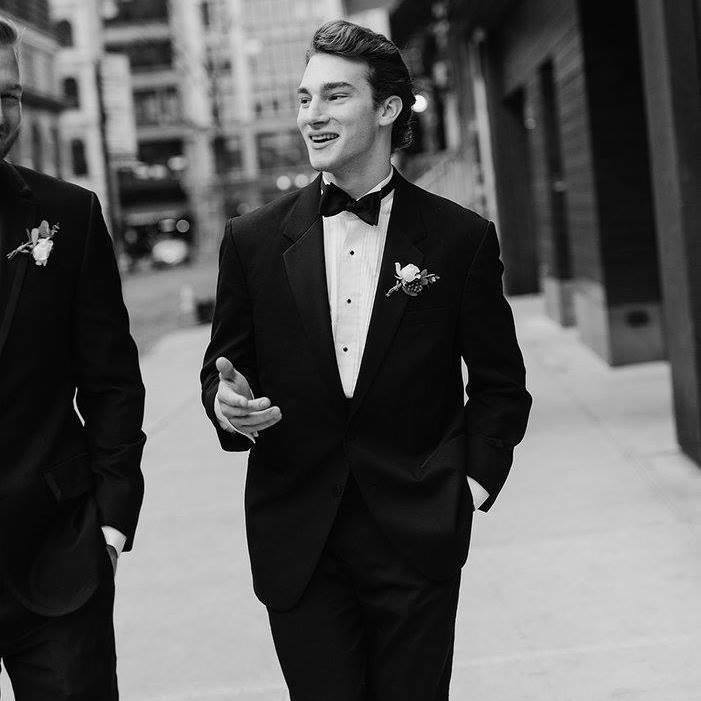 Calvin Wentling ‘18 is a tenor from New York, New York majoring in music. Besides singing with Glee Club, Calvin also lends his musical talents to Chamber Choir, the Princeton Nassoons, and the African Music Ensemble. Thanks to Glee Club and the Music department, he studied both West African drumming and the mbira, a thumb-piano from Zimbabwe. Though his plans after graduation are “largely TBD”, he assures us he will be doing musical things. Since it’s “impossible to pick one memory”, the three-way tie for Calvin’s favorite Glee memory is between the concert in Soweto, the silence after our last performance of Britten’s requiem, and the church clock going off during our performance in León. However, Calvin was significantly touched specifically by the South Africa tour, stating that he chose to study music as a direct result of that experience. Throughout her time in Glee Club, Gloria says she has gained a greater appreciation for what choirs do. Her favorite glee memory is the Soweto concert in South Africa her sophomore year, performing for an audience who “used their hearts to think about the music”. Gloria’s standout favorite pieces go to Herbert Howells’ Behold, O God Our Defender, and Bach’s B Minor Mass. Though she can continue making music with a new choir, she will certainly miss her gleeple. As for parting pieces of senior wisdom, Gloria wants everyone to take advantage of being a part of the amazing Glee community. Sarah Baber ‘18 is a soprano from Winchester, Virginia. A former Glee Club vice president, Sarah is an English major with a certificate in Spanish Language and Culture. When not singing her heart out in Glee Club, Chamber Choir, or Contrapunctus XIV, she can be found participating in Princeton Faith and Action or the Edwards Collective, giving tours for Orange Key, playing the piano, or impersonating Sergei Tugarinov ‘19. Sarah is excited to begin working as an English Teaching Assistant in South Korea after graduation as a Fulbright Scholar. She will miss her “gleeple” (see: glee people), and will never forget seeing an elephant on a night game drive in Pilanesberg on Glee Club’s South Africa tour. Jenny El-Fakir ‘18 is an alto from Edison, New Jersey majoring in history with certificates in archaeology and the history and practice of diplomacy. She has been singing in choirs since 4th grade and also plays flute and guitar. Outside of Glee Club, Jenny has been involved in Princeton Mock Trial, Tower Club, the American Whig-Cliosophic Society, Princeton Opera Company, Step Sing organizing, and she founded the Women’s Political Caucus with Valerie Wilson ‘18. Even with all these groups, she notes her favorite club is Glee Club. Good answer, Jenny! After graduation, Jenny will either be attending Edinburgh Law School or George Washington Law School (she’ll know very soon and will keep us posted). Jenny’s favorite glee memory is singing in South Africa on her birthday and their last performance during the South Africa tour, performing for an audience that it really meant something to. Of course, she also enjoyed the Leon concert during our most recent tour to Spain. People might be surprised to know that she, Gabriel, and Christie (Gabriel's wife) all had matching sun hats and hiking backpacks during the South Africa tour. Glee Club is actually a major reason why Jenny came to Princeton. She will miss Friday massages and having a place to go every Monday, Wednesday, and Friday and lose herself, no matter how down she was feeling. Jenny appreciates how Glee has always been there for her and thanks Gabriel for what he has done over the past four years to make it a home away from home. Colton Hess '18, is a Bass from Southlake, Texas. At Princeton Colton majors in the Woodrow Wilson School of Public and International Affairs with certificates in American Studies and Cognitive Science. Other than Glee, Colton's activities include Orange Key, the Nassoons, and some other activities which he assures us exist, although he does admit he cannot remember what they are. 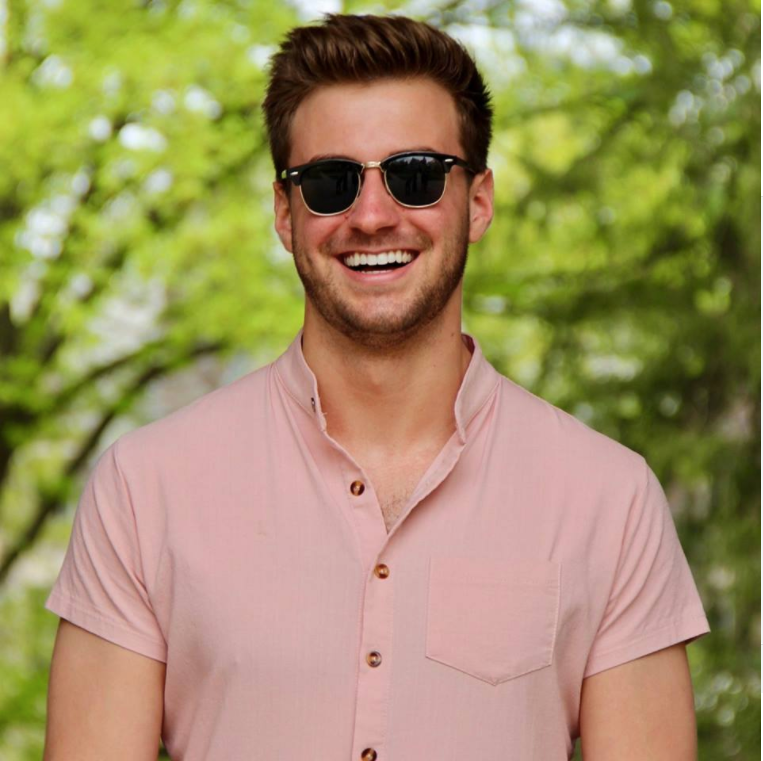 After graduation, Colton is moving to Seattle to work for Amazon, but before that will be taking the summer to travel to Lisbon and Rome with family. The thing he will miss most about glee is, "da music" along with that most dynamic of duos, Gabriel and Stephanie. His favorite piece of Glee music is the Verdi Requiem. He has clarified that when he says that he means that he likes ALL OF IT, but particularly, the Verdi Requiem. Colton would like to refrain from choosing a favorite tour because, "they were both fantastic experiences both in music making and in sharing our music and in music performance.” Can you tell he’s a public policy major? When asked for a random thought, Colton simply responded, "MCALPIN". He claims not to know what would be surprising to Glee to learn about him. 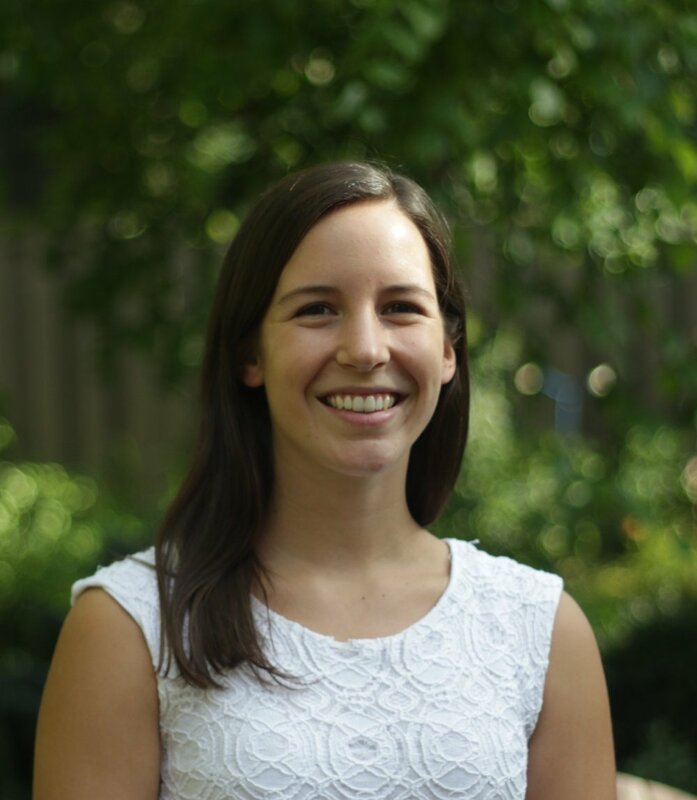 Caroline Jones '18, President Emeritus, is a Woodrow Wilson School Major with certificates in Latin American Studies and History and the Practice of Diplomacy from right here in Princeton. Outside of Glee, Caroline enjoys figure skating, Small World Coffee, and crossword puzzles. After graduation, Caroline will be staying at Princeton to pursue a Masters in Public Administration at the Woodrow Wilson School as a recipient of the Scholars in the Nation's Service Initiative Fellowship, but before that she plans to spend the summer taking. a. break. Her favorite Glee memory is the Glee Club's performance in Soweto during the tour to South Africa. Caroline refuses to choose a favorite tour for political reasons. As Caroline, an alto II who also sings in Chamber Choir, will be staying at Princeton for her masters degree, she will be singing with us again next year meaning that we will be doing this again in four years. Caroline would like to thank Glee Club for putting up with a year of her interminably long emails. Solene will be taking a gap year to apply to graduate programs as well as work with her mentors and prepare auditions for conservatories and young artist programs and continue pursuing a career in vocal performance. She will also soon be releasing her debut recording and working on two new recording projects: one in jazz violin and another in French art song. Although Solene’s favorite piece of Glee repertoire is Mozart’s Requiem, her favorite Glee memory is singing Handel’s Dixit Dominus. She was especially touched by getting to sing in the beautiful Burgos Cathedral, noting that she will “never forget the exhilarating sensation of all of our earnest voices being lifted by that resonant space”. Solene thanks Gabriel for his “remarkable attention to coloristic detail” and wittiness. As for the Glee Club, Solene will miss the camaraderie and “being transported by so many other passionate voices”. Kevin McElwee '18 is a baritone and sometimes tenor from Brick Township, on the Jersey Shore—“next to Wall, NJ”. After a change of department midway through his junior year, Kevin will be graduating with an A.B. in Music and a certificate in vocal performance. In his small high school, Kevin played saxophone, jazz piano, and did musical theater—but in college, he’s focused on the Glee Club and Princeton Roaring 20, serving as president of the latter. 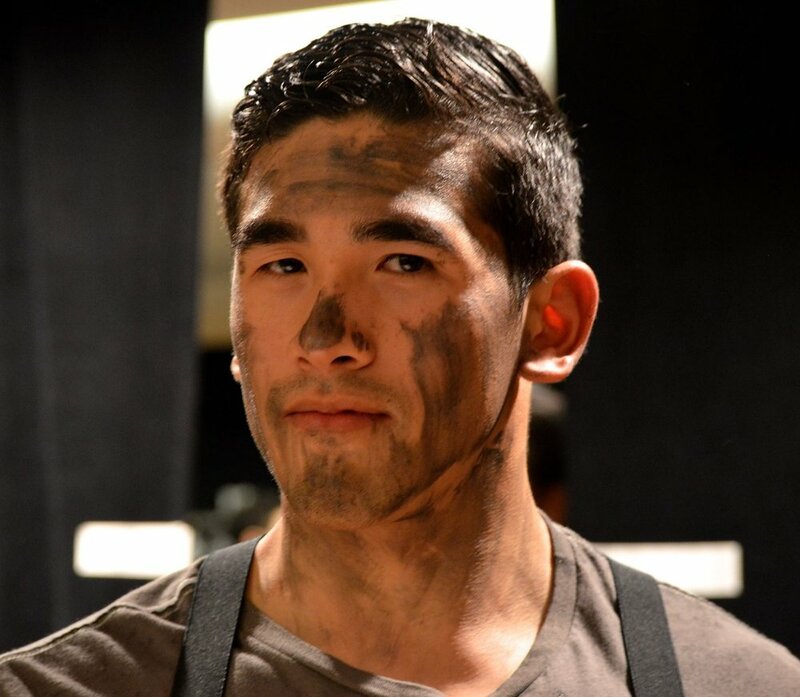 At first, “a cappella was the only thing I knew for certain that I wanted to do at Princeton,” but Kevin has loved his four years in the Glee Club. When asked for favorite memories, the Glee Club’s 2016 tour came up repeatedly: “South Africa reminded me why music matters—full stop. We can sometimes live in a melancholic, academic world… but [these audiences] lived music very viscerally. It was inspiring to see people live music so passionately.” He particularly loved Knut Nystedt’s “Immortal Bach”—a setting of the chorale “Komm, süsser Tod” sung at 5 different tempi, drawing out beautiful, slow cluster chords and suspensions. Shruthi Rajasekar '18 is a soprano from Plymouth, Minnesota majoring in music with certificates in vocal performance and cognitive science. A former Glee Club publicity chair, she founded Princeton Swara and frequently composes with the Composer’s Collective. Shruthi also plays piano, veena, and has studied carnatic music for 14 years. She presumably sleeps as well, although we have not received confirmation. Next year, Shruthi will be in the U.K. as a Marshall Scholar, but first she will spend the summer chilling and composing what will likely be masterpieces. You might remember one of her compositions, Gaanam, from this year’s Nollner Memorial Concert! Shruthi’s favorite glee memory is running through Gaanam with the Glee Club for the first time and getting to bring her piece to life. Fun fact about Shruthi: she eats Airheads and Cherry Coke while composing, so you can thank these snacks for Gaanam. Shruthi notes that she loves EVERY piece ever, but one Glee Club piece that has left a big impression on her is Healey Willan’s How They So Softly Rest, the first piece she ever rehearsed with Glee Club. 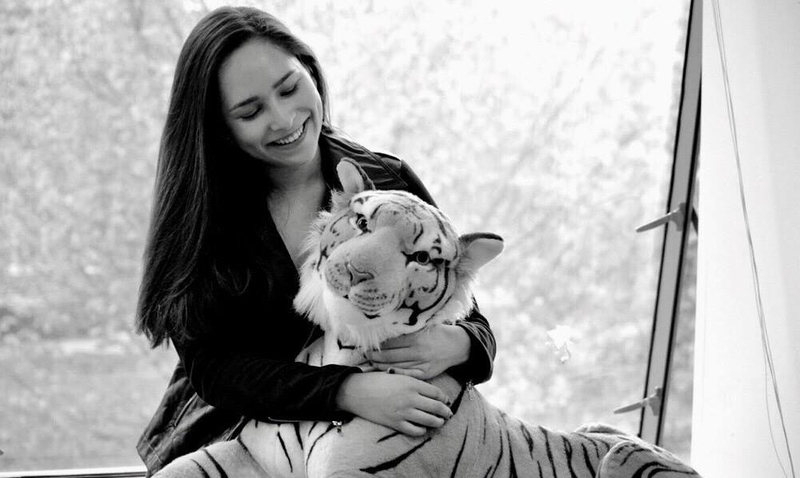 While Shruthi will miss everything about Glee Club, she wants to give special thanks to Gabriel for helping her thrive at Princeton by providing a family and exception musical experiences that have been greater than she ever imagined. Alice Tang ‘18 is an alto from the San Francisco Bay Area. She will be graduating with an A.B in Computer Science with a certificate in Quantitative and Computational Biology. Besides being in Glee Club, Alice is also a proud member of Princeton Pianists Ensemble, Chapel Choir, the Edwards Collective, and Princeton Opera Company. She recently starred as Ruth in POCO’s production of The Pirates of Penzance! This summer, Alice will be learning the secrets of Peking Opera at the Shanghai Peking Opera Company. She will also work with the Council on Science and Technology conducting research in both the Music and Mechanical and Aerospace Engineering departments. Her adventures in China and the US will continue next fall as she begins work on her Dale Fellowship project. Because she has enjoyed singing so many wonderful pieces from Bach to Britten during her time in Glee, when confronted with choosing a favorite piece, Alice (in typical fashion) could not make a decision. While it is unfortunate that one of her most prominent Glee memories is being taken care of by Joanna Zhang ‘21 when she suffered stomach pain during our tour to Spain, it is also a testament to the power of gluv. Emma Watkins ‘18 is an alto from Hightstown, New Jersey. She is majoring in English with certificates in music theatre, theatre, and environmental studies. A member of the Edwards Collective, Emma is also active in theatre on campus- she’s the mastermind behind Trailing Rhiannon, a new musical play recently performed by the Lewis Center for the Arts interweaving Celtic folk music and Welsh storytelling tradition. Of course, she can also be found having tea parties with her friends. Next year, Emma will be pursuing an M.A. in Welsh and Celtic Studies in Cardiff, Wales as a Fulbright Scholar. She hopes to study the revivals of myth in contemporary storytelling and folk music, something she began doing during her time at Princeton and which shaped her senior thesis, Trailing Rhiannon. Valerie Wilson '18 is a History Major with a certificate in Medieval Studies from Cherry Hill, New Jersey. 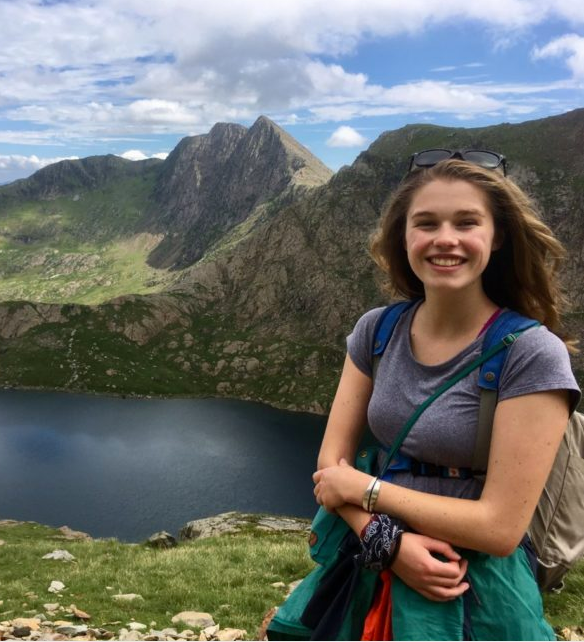 Other than Glee, Valerie spends her time on campus giving tours with Orange Key, leading trips as an OA Leader, and climbing with the Climbing Team. During her time at Princeton, she also co-founded the Women's Political Caucus on campus with fellow Glee Clubber, Jenny El-Fakir. After graduation she will be pursuing a masters in Medieval and Renaissance Studies after taking the summer to "make some money". Her music experience outside of Glee includes Piano, Viola, and High School choirs. Her favorite Glee memory is a tie between the Tenebrae Concert earlier this year and the Soweto performance during the South Africa tour. What Valerie will miss most about Glee is the stress free environment that simultaneously produces excellent music. Her favorite songs during her career with Glee are Imfundo and Behold O God Thy Defender. Valerie says that Glee is a place where she formed some of her strongest friendships at Princeton. She says she still remembers pickups and eating dinner after rehearsal with the other first years in her first year in Glee.